Sussan Sound predicts that students will learn most effectively with a constant background sound, as opposed to an unpredictable sound or no sound at all. She randomly divides 24 students into three groups of 8 each. All students study a passage of text for 30 minutes. Those in group 1 study with background sound at a constant volume in the background. 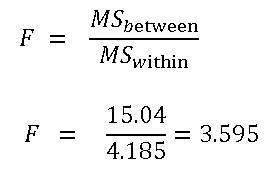 Those in group 2 study with nose that changes volume periodically. Those in group 3 study with no sound at all. After studying, all students take a 10 point multiple choice test over the material. Their scores are tabulated below. This is an interesting challenge and we will do it together, just keep a glass of water close by! We would use an aproach that would make is very clear and easy. So you will need MS excel, so we can be faster. You may also do it manually on paper and then verify your results. But to save time, we would use excel. 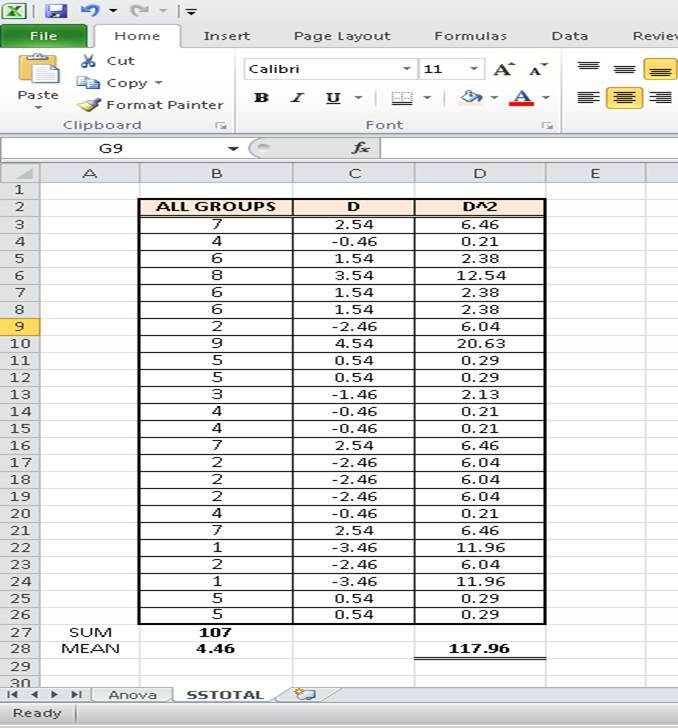 We need to transfer this data to excel first, which I actually have done and we have the excel table below. Learn how to transfer data to excel from a web page without typing. Step 1: Calculate all the means. I have created an excel sheet used to calculate SST, so you can verify. 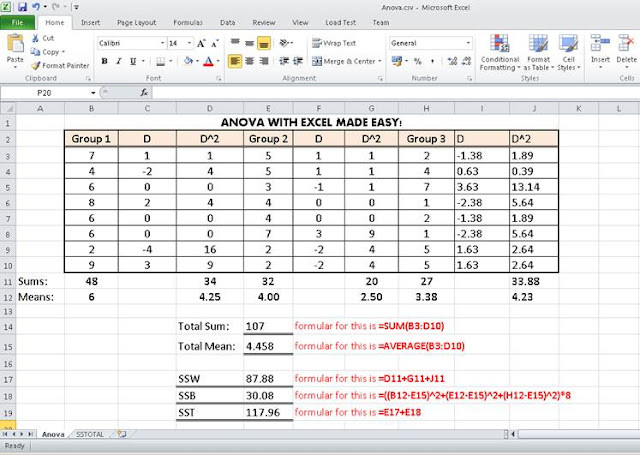 You can also download this excel sheet from here. Wow! Breath in, breath out! we are almost there!! 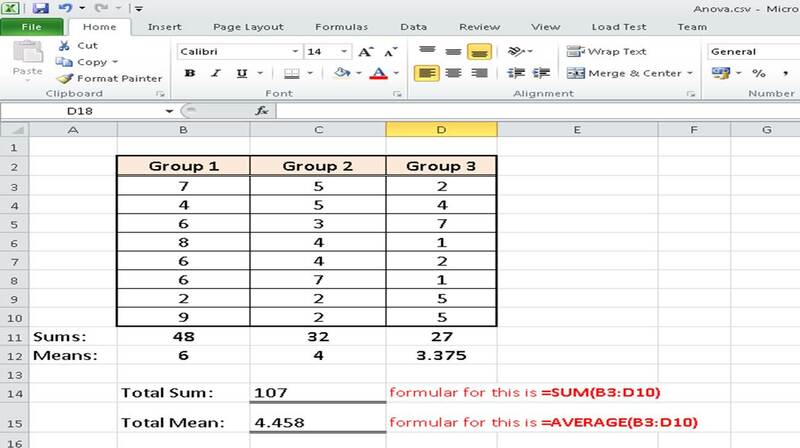 Since the calculated(absolute value) of F is greater than the tabulated value, we reject the null hypothesis and conclude that at least two of the means are significantly different from each other. 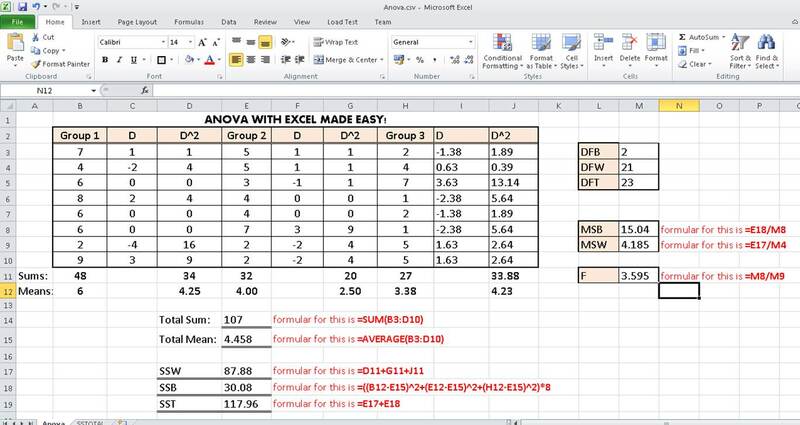 Complete the Anova table below with actual values. If you do it, let me know in the comment box by the left of this page.